If you’re a hands-on person who lives and breathes cars and mechanics, then this is the perfect course for you. You’ll develop an advanced skill set, as you focus on removing and replacing various automotive parts and get into the real nuts and bolts of what mechanics do every day. 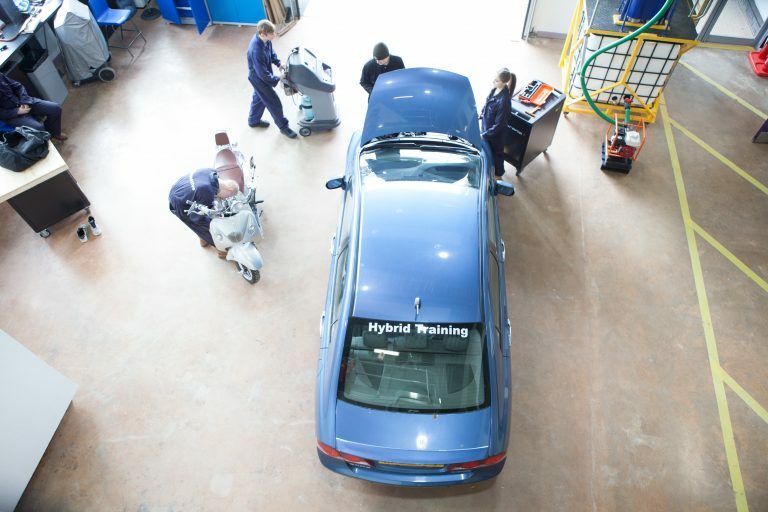 Of course, you’ll still be studying in our fantastic workshop facilities, using the same equipment and kit as the very best garages and workshops. The course is a mix of practical workshop sessions and theory, making sure you develop as a mechanic with an incredible knowledge of the industry. This means you’ll be up-to-date with the latest developments and techniques, making you a trusted pair of hands in any garage. This course is all about giving you an advanced knowledge of the automotive industry. It opens up many different options and ways through you to progress, depending on what interests you. If you love vehicle maintenance and want to continue on the path to becoming a mechanic, then you could progress to the Level 3 course. Or, you may want to transfer to our vehicle fitting course. If you’re unsure of what you want to do, your tutors will be able to help you and advise you throughout the course, so don’t worry. You may not even want to progress onto another diploma – we offer lots of apprenticeships, where you can go out into the industry with a job and earn while you learn. If this sounds of interest, make sure you talk to our apprenticeship team who can give you more information and let you know if an apprenticeship is right for you. So, with so many options, you can achieve almost anything in the automotive industry from here – whether you want to be a vehicle fitter, a diagnostic technician, a mechanic, or even a motorsport engineer, this is the course that sets you up for a lifelong career.